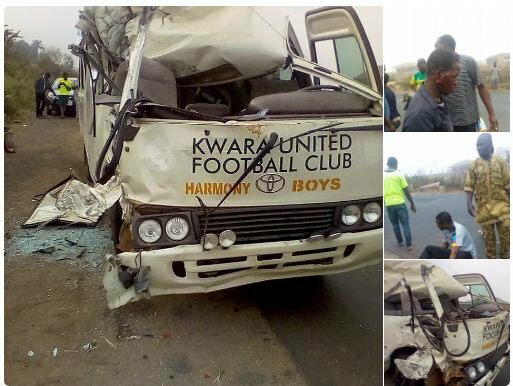 Players and officials of Nigerian Professional Football League (NPFL) side, Kwara United, were earlier involved in ghastly motor accident on Wednesday morning. The club’s official bus, that was conveying the players and officials, was involved in an accident on the Lagos-Ibadan Expressway while the team was travelling to Ilorin after the Nigeria National League (NNL) Super 4 in Lagos. The Unfortunate news was confirmed via the official Kwara United Twitter handle. It was also revealed that three people namely Alfred Stephen (player), Ijaya Lukman (welfare official) and a freelance cameraman got injured.